"Syria is the cradle of diverse rich cultures and targeting this diversity and richness has been continuous over the past decades until now, the current war on Syria, besides being a military, geographical and economic war, is also a cultural war targeting the Syrians' identity, belongingness, roots and cultural heritage." H.E. 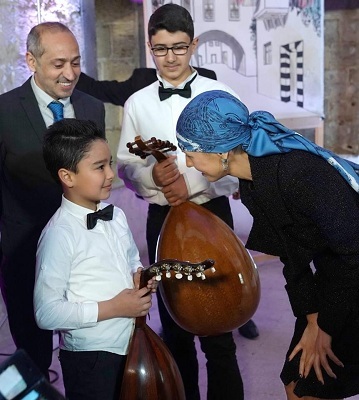 the First Lady of Syria, Mrs. Asma Al-Assad during her participation in a cultural event titled "Zelal" (Shadows) marking the inclusion of first element of the Syrian intangible heritage in the world heritage list, March 16, 2019. 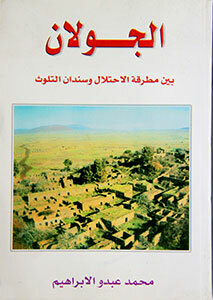 "Targeting the Syrian heritage and artifacts has been systematic over the past eight years; yet, we have been adherent to our tangible and intangible heritage> all the Syrian traditions, songs, folkloric dance and other cultural activities form together the Syrian intangible heritage, which has been over the past years a fatty material for Syria's enemies who seek occupying the country, whether through occupying the land or through stealing the Syrian heritage and antiquities to cancel the identity." "Our enemies have been working throughout the years of war as to make us lose determination and hope and to be desperate. In fact, the enemies failed given the fact that Syria is gradually emerging out from the bottle neck. Hope is the everlasting impetus and motivation behind success and development as the youth are but the dynamo and heart of every society." H.E. Mrs. Asma Al-Assad during her participation in the activities of social, and financial business completions "Takwin" – joint venture establishment- launched by Baraka Bank, Syria, in association with the Syrian Computer Society, Sanad Development Team, and Venture for Training and Consultations, May 8, 2018. "Once the youth are weakened, all of the homeland is to be weakened. As a matter of fact, the Youth in Syria are never weakened and , on the contrary, our youth are the bearers of knowledge, science and the pen and have pursued the march. The role of the youth is basic, fundamental and decisive in the moments we live in Syria." "Culture is the depth and the basic for man's thinking. History has proved that the poor countries which focused at science and knowledge became among the world's strongest countries today. There are many other financially big countries while live on the margin culturally and intellectually. The social and development culture is the basic for economy, continuity, and for sustainability. Rich countries financially with no culture will collapse once the economy collapses." 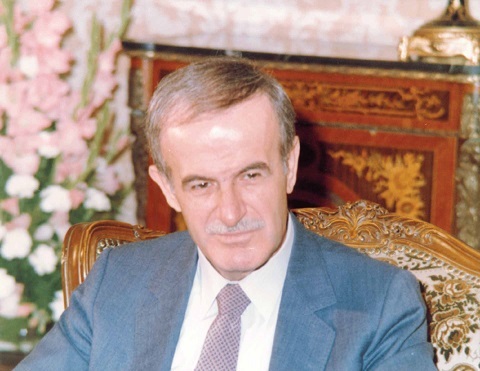 "We along with the youth have to take the initiative as to accomplish development and better change and as to stand faithful to our responsibility because Syria is but the responsibility; we protect Syria with arms and pens, with knowledge and science , with development, and above all with our national belonging and amity." "We have to relaunch growth and development as to keep pace with increasingly developed word during the last 8 years. We shouldn't postpone what we can do today; Takwin project is not only based on money as the small and medium sized projects do need supportive environments too, do need guidance, expertise and training." " Given the war of terrorism launched against us and the sanctions imposed upon us and against our economy where our factories and establishments are targeted, small and medium projects, which were able to withstand many financial crises, bear big responsibility." H.E. Mrs. Asma Al-Assad during her participation in the activities of social, and financial business completions "Takwin" – joint venture establishment- launched by Baraka Bank, Syria, in association with the Syrian Computer Society, Sanad Development Team, and Venture for Training and Consultations, May 8, 2018..
"Partnership among the public, private and civil sectors have proved to play a role in the development of Syria in the public interest of our country." Skin X for Medical Products: smart splinters replacing the traditional gypsum ones. Ghadi for children Artistic Productions: a cartoon film for children aged between 5 and 10 years, based on up to date psychology theoris. Manarti: curricula for children linking knowledge to fun through an app and printed materials. "Civil society is an important fundamental factor for the state in the process of rebuilding man and the stones during the coming phase; the governmental and non-governmental efforts should be intensified in the future on a complementary basis and in the interest of the Syrian People and of their all regions,"
H.E. the First Lady, Mrs. Asma Al-Assad upon receiving an Armenian delegation from Aleppo, April 23, 2018. 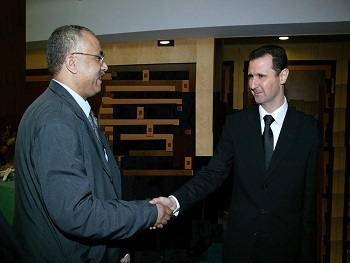 "Among the first priorities on which civil society should focus are the social, educational and cultural activities, and not only the humanitarian and relief ones; so as to guarantee the best building for the Syrians and as expand such activities to the country sides and not only to be restricted to city centers,"
H.E. Mrs. Asma Al-Assad, the First Lady of Syria, received, on the occasion of Mother's Day, a group of Syrian Army heroines and their mothers. Mrs. Asma Al-Assad, the First Lady of Syria addressing a group of Syrian heroines soldiers on Mother's Day, March 21, 2018. "Excellence is not only restrictive to a specialization, or to a scientific subject. Once a person were not to be able to express himself and his ideas, or to debate , discuss and correct mistakes once observed, he/she is not distinguished of excellence. Science is part of excellence, excellence in not restrictive to science. Excellence is but the culture of life." H.E. Ms. Asma Al-Assad, the First Lady of Syria, to the participants in the workshop organized by the Excellence and Creativity Authority at the University of Damascus on the identification and institutionalization of the role of scientific Olympiad students in developing the course of the Olympic competitions at all levels, November 30, 2017. "Most importantly is for you to pursue improving yourselves and to think about how to pay the favor back and to be keen on this experience, and to establish it deeply after you achieved excellence at world level. The most important part of your active role should focus on helping others and teach them your experience as you have been assisted as to reach to such a situation." "Today's meeting should be but the starting point for a joint action among all from the State, and from NGO's. The more we are able to unite our efforts more , the more we are able to benefit by and from each other more, and the more of better successes are to be achieved by us,"
H.E. Mrs. Asma Al-Assad, the First Lady of Syria, to the participants in the Damascus-held NOG's Workshop, November 23, 2017. "The past 7 years were hard for all and the NGO's role and efforts were distinguished; each in its region, specialization and potentialities. We are all aware of the problems under discussion today, yet ,yet and most importantly such problems are not to be solved through NGO's or donors. These problems are to be solved only by our own efforts,"
"Development is not only infrastructure and projects by the State, not a unilateral effort by one side. Development is a combination between the State and Man, the project and the citizen." H.E. Mrs. Asma Al-Assad, the First Lady of Syria, July 21, 2017. "There is always the need for creative thought for development projects and with every initiative there should be a generalized humane and morale value and with participation, invention and openness, we can develop all of Syria as far as construction and humans." 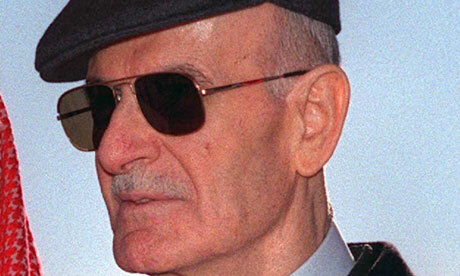 "During the war on Syria, the development of the mind was absent; where the alternative was ignorance with its extremism and terrorism; once the development of manners was absent, the alternative was chaos and destruction; once the development of morals was absent, the alternative was opportunism and perversion. Once the national spirit was absent, unfortunately, the alternative was treason. Development is but culture and the culture of development starts with dialogue which unites visions and concepts." "Fidelity is something great and difficult and our fidelity is more difficult and sacred hence it was baptized with the blood and the soil liberated with the souls of our martyrs and the bodies of our wounded. Before the war our fidelity was dear and is more dear today, as it lies in every martyr's mother, who lost her son and remained strong and firm." " Our Fidelity is every wounded who sacrificed his body for Syria. Our fidelity is every Syrian child who goes to school though of fear and whose friend was martyred before his eyes and continued and excelled. Our fidelity is every employee, student or teacher who stood firm and went to his work, school or university. Our fidelity is every person going to his workshop, factory or shop, and is every Syrian besieged by terrorism or deported by terrorism. 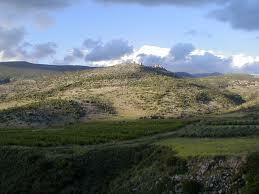 Our fidelity is every grain of Syria's soil, whether over or under earth. Our fidelity is the whole people who stood firm, sacrificed and withstood. Our fidelity is Syria, the dearest more than anything." "Syria is development and fidelity and principles as the compass for everyone who wants to reconstruct and improve the country. It is the compass for every person capable and we are capable through dialogue, participation and uniting the objectives. Such principles are the cornerstone for everyone who wants Syria better than it was. All have a task and a role. Participation is culture and not a decree, practice and not imposition. Participation is to feel responsibility. " "Thus, we can regain the strong, free, and firm Syria, free as it should be and not as they wanted it to be when they distorted the principles and concepts; once they raised the slogans of freedom, democracy and it was the freedom of slaughter and skinning, and the freedom of conspiring with the enemies. Freedom is not to destroy your homeland, and not to burn buildings, not to set explosives wherever you want, not to terrorize the innocents, freedom is responsibility, is the freedom of thinking, the freedom of creativity. Freedom is to have an opinion and a voice represented on you, your society and your country." "Democracy is participation, respect for diversity, acceptance for the other. They tried to distort the principle of nationalism. They, however, failed as we remained united and committed to our principles, culture, identity and to our diversity. We are the mythical Phoenix as to be resurrected to build our country, and we will remain sacrificing everything for our country. 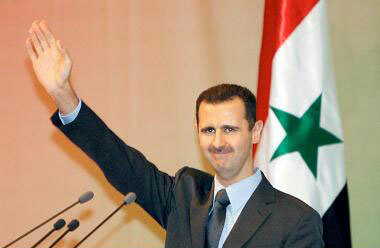 And now, SAWA, together are to start anew, because together we develop Syria and Syrians." "Syria is the light shining over all of us. This light is only when it joins multi-colors within as the basic light of Syria through the diversity of its colors, and richness of its cultures, though of the bids by many as to make every color isolated as not to keep Syria of the same light. They failed and were not able to isolate the Syrian light of diversity. 7 years now, and these colors glitter more and all are aware that the diversity of the rooted in the Syrians colors is the source of richness, power, and light. All are sure by now that the strength of the individual is with his surroundings and all are for one and one is based on all." "Syria is fidelity and its development is the responsibility. For any developmental organization as to succeed is not important what it has of foreign relations as much as this organization is domestically deeply rooted and well established in commitment to the principle that Syria is our fidelity and our responsibility to develop it.."
The humanitarian and welfare of the First Lady of Syria, Mrs. Asma Al-Assad, has been non-stop, and even increased during more than 5 years of the war by the foreign-backed terrorists, backed by some Western states! Mrs. Al-Assad's presence in the Syrians' life has but bolstered their steadfastness, and togetherness, consoled and consolidated. In the footsteps of her husband, President Bashar Al-Assad, Her Excellency braves ever danger, moves from Homs, to Lattakia, Sweida to where she would find a bereaved to console, a mother, sister, brother to stretch a hand of oneness, unity, humanity and determination to vanquish against darkness, ignorance and extremism. ''The importance of Syrian Organization for the Disabled a pioneering institution- comes from its concentration on preparing new cadres in an academic and professional manner, because its directors acknowledge the fact that any process needs such cadres in order to succeed and achieve the desired outcomes...This is what makes Aamal a pioneering institution...the strength of which comes from its expertise and performance...especially during the war...because the war increased the need for such cadres...for the issues are now much harder, complex, and important...and of course, I mean the wounded who fell in service of the homeland..."
We stand with every child and every family hurt by this war and we support them to carry on to the best of our abilities. As for those who sacrificed a part of their body for their homeland, our homeland, the homeland will stand by them..All of us, individuals, and private, public, and joint institutions are combining our efforts and our capabilities to help the wounded...yet no matter what we do, it will not be enough, they deserve so much more from us..."
The most important achievement after all these years...is that our ''…children can now hear us, talk to us, understand us..."
''When we say that Aamal benefited 46,000 people in ten years, we also have to say that 30,000 of them were affected during the war...when we say that more than 160,000 people graduated in the past ten years, we also have to say that nearly half did so during the war years...and when we say that these achievements across the past ten years were not easy, we have to remember that in six out of those ten years we were witnessing the war on Syria..."
The Syrian Organization for the Disabled (Aamal) is a nonprofit NGO, which was founded at the behest of The First Lady Asma al-Assad, and has until today helped more than 46,000 people, most of whom are children. 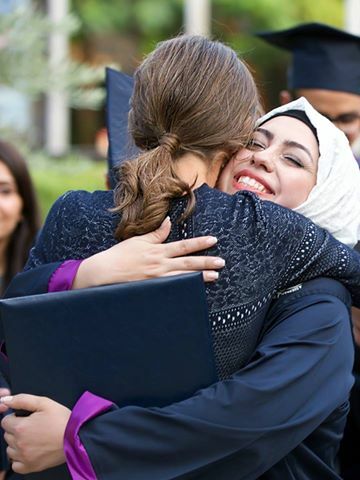 And under its supervision, more than 160,000 young women and men graduate from Syrian universities specialising in providing different services to persons with disabilities. "You are the Ambassadors of Syria: the Syria of openness, science and of knowledge and you have to contribute to the development of your society and your Syria. I do strongly believe in you and in waiting for you," said Mrs. Asma Al-Assad, Syria's First Lady addressing the first batch of the Syrian Academy for the Distinguished graduates, Wednesday, September7th, 2016. "All fields are based on the main pillar of belonging to the homeland. The most of what I focus with my children is to be dedicated to Syria, resect the people, particularly the old, to be committed to the rich variety in the society and to the many sacrifices offered in the ongoing war. The future and safety of my children is attained through their commitment to the future and safety of the homeland; once the homeland is well, they will be well." Added Mrs. Al-Assad. "I do care about excellence and distinction as part of the academic process as a whole; the distinguished are more able to invent and develop the homeland, and more able to find solutions for crisis in their homeland." Outlined H.E. the First Lady. 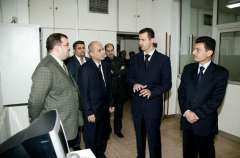 In reply to a question about the graduates post-graduation scholarships in Russia, Mrs. Al-Assad recalled the Syrian Presidential Couple visit to Russia in 2005 where such topic was discussed and thereafter Russian experts contributed to training of the Academy staff, dispatched experts and underlined the criteria for this.